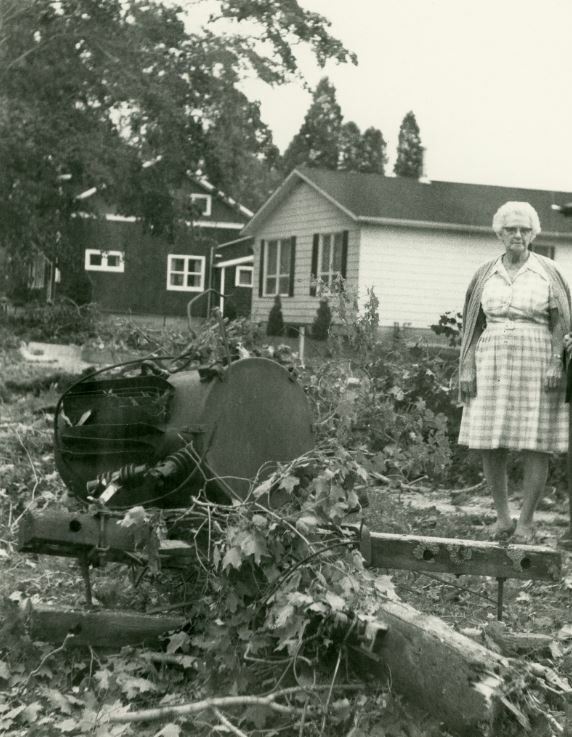 Forty years ago – Tuesday, August 7, 1979 – three tornadoes touched down in southwestern Ontario and carved out a 60 kilometre path of destruction. This visual exhibit highlights the impact the tornadoes had on rural Norfolk and downtown Waterford. Image courtesy of the Eva Brook Donly Museum & Norfolk County Archives.